Fort McMurray is a leader with its single-use bag ban. 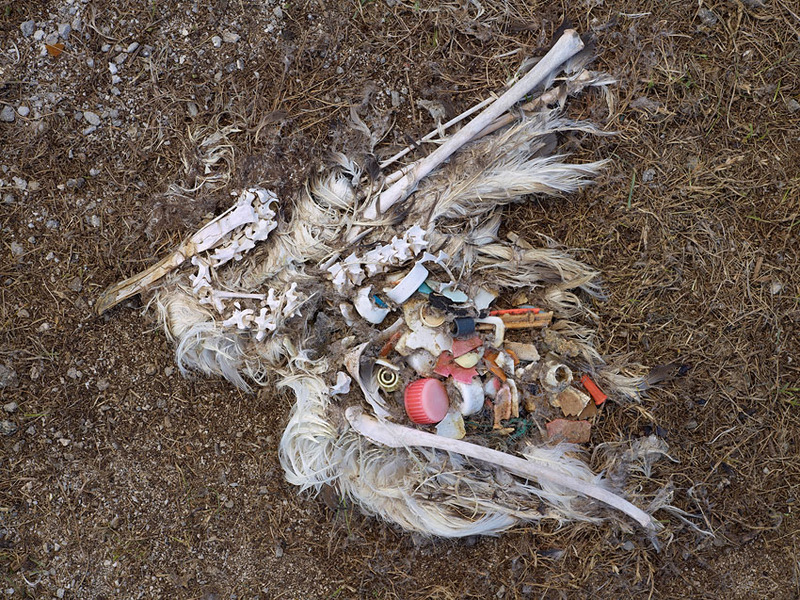 Albatrosses are sea birds that mistake plastic washed up on shore for food. This photo is taken by Chris Jordan, who has taken dozens of photos of albatrosses that have died in the South Pacific Ocean. The plastic is everything imaginable - bottle caps, toothbrushes, parts of containers. The parent bird also feed plastic to their babies, so they're dying too. With the help of BP Oil's A+ For Energy Grant and RMWB, Ecole Dickinsfield School community is embracing reusable bags, waste free lunches, gardening and composting. This was inspired by the Regional Municipality of Wood Buffalo (Fort McMurray)'s Single Use Bag Ban. We're learning how to reduce waste - reduce, reuse, recycle, rot, and the energy used and conserved as we do so, as well as learn about energy. The 500 bags Ms Cochrane is wearing are what each person throws out in a year in North America.